Faced with an increase in public protests and the reappearance of opposing forces, a national plebiscite was called that would define the countrys fate and enable the return of democracy, and therefore, of civil liberties. Complying with the Constitution, in 1988 the government held elections to determine whether the regime would continue. This time, the SI (yes) option was backed by the RN, UDI, Liberal, Avanzada Nacional , Social Democracy and Southern party, as well as other minority groups that supported the military regime. Meanwhile the NO option counted with the support of the Concertación de Partidos por el NO (Concert of Parties for the NO option), which would later be called the Concertación de Partidos por la Democracia (Concert of Parties for Democracy), which united 16 opposition parties. After the national consultation (plebiscite), the NO option was triumphant with 56% of the votes, reason for which Pinochet would only remain in the presidency until 1990. After this, he would continue running the army until 1998. Presidential elections were held once again on December 11th, 1989 after 16 years of political repression. Three candidates faced each other: Patricio Aylwin represented the Concert of Parties for Democracy; representing the political rightwing and ex Pinochet minister Hernan Büchi and the founder of a new party, the Central Union, Francisco Javier Errazuriz. The representative of the leftist coalition obtained victory with 55.17% of the votes. In addition, in the parliamentary elections held at the same time, the Concertacion would obtain most of the deputies and senators. Thus began the Concertacion governments. With the arrival of Christian Democrat Patricio Aylwin to the presidency of the country, a transition period began. Although people anxiously awaited a clear transformation of public institutions and the direction of the country, evolution would be gradual. During his four year rule, Aylwin set important goals for stabilizing the nation. In order to achieve this it was necessary to continue with the economic model, ensure the correct functioning of democratic institutions and promote social justice and national reconciliation. For this last mission, on April 25th, 1990, the National Commission of Truth and Reconciliation was created, presided by Raul Rettig. It revealed that over two thousand people suffered from infringements of their human rights during the dictatorship. A series of measures were also implemented, like strengthening new markets for Chilean products abroad, a policy of national savings and changes in the electoral laws of municipalities. This last modification would allow for a greater decentralization of the country, making regions and comunas (counties) stronger. In education, plans were implemented to improve the quality of teaching that were focused on teacher training. 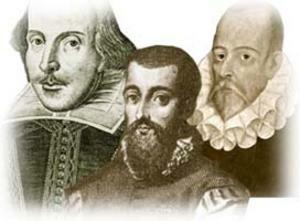 They all formed part of the Program for Improving the Quality and Equality of Education or the Project MECE. In the presidential elections of 1993, once again there was a Christian Democrat winner. This time, Eduardo Frei Ruiz-Tagle, son of president Eduardo Frei Montalva, reached the presidency with 58.01% of the votes. Taking advantage of the stability attained by Aylwin’s government, the new president concerned himself with modernizing the State. In 1997 the Penal Process Reform was passed, which would transform the way in which justice is served in Chile through a new institutionality. The privatization of a few state companies also continued during this period, and the development of a new country wide highway infrastructure was also promoted through the public sale of services to the private sector. The National Plan for Overcoming Poverty was also created, which included, among other points, better living conditions for the lower class as well as housing and basic services. New technological tools were introduced to modernize the state apparatus, such as using the internet in public management. This made communication between the State and society better and a lot of red tape and procedures became swifter, such as tax statements, access to public libraries, petitioning and delivery of certificates, among others. When in came to human rights, work continued towards national reconciliation. In order to achieve this goal, between August of 1999 and June of 2000, a dialogue table was set up, with the participation of civilians and the military, which achieved the commitment from both parties to make as much of an effort as possible to obtain information regarding the whereabouts of the dictatorship’s disappeared detainees. But, without a doubt, one of the greatest achievements of Frei Ruiz-Tagle’s government was the economic opening and important commercial bonds created during his rule. Our country made new allies , becoming a member of the Southern Common Market, Mercosur, as well as opening up a dialogue with the European Union, the United States and Mexico for signing cooperation agreements and free trade agreements. Chile also became a full member of the Asian Pacific Economic Cooperation Forum, APEC, in 1994. For 1999 six candidates existed fighting to reach the presidential armchair, however, the real dispute would come down to the two main political forces of the country, the Alianza por Chile (Alliance for Chile) and the Concertacion, represented by Joaquin Lavin and Ricardo Lagos respectively. The voting took place on December 13th. The socialist obtained 47.96% of the votes, while the candidate from the UDI party received 47.51%. This close race would have to be resolved in a second round of voting, where Ricardo Lagos would obtain a majority with 51.31% of the votes. Just as his campaign slogan indicated, the work performed during his government would focus on the country “growing with equality”. To achieve this, his government emphasized social development, access to health services and education, bringing down poverty and unemployment rates. A health program was implemented that was known as the Plan for Universal Access to Specific Guarantees (Rights) (AUGE), which intended to benefit all Chilean citizens and enable equal access to quality healthcare. Continuing in state improvements, the Penal Process Reform was put into action on December 16th, 2002 and educational reforms received constitutional support, assigning the State responsibility for guaranteeing high school equivalency and free education for all Chilean citizens up to the age of 21. In addition, on December 17th, 2005, president Lagos signed a series of Constitutional reforms with the objective of strengthening the country’s democracy. They involved putting an end to designated and lifelong Senators, Armed forces commanders in chief would no longer be irremovable and it referred to the autonomy granted to the Central Bank and the Public Ministry, among other changes. On December 11th, 2005, the country was once again in its election period. Socialist Michelle Bachelet Jeria, former minister of Health and Defense during Ricardo Lagos’s government, was the candidate chosen by the Concertacion to compete in the presidential race, facing off with Joaquin Lavin, once again candidate for the Alianza por Chile (Alliance for Chile); Tomas Hirsch, representative of the Juntos Podemos Mas (Together we can achieve more) Pact (most comprised of communists and humanists) and Sebastián Piñera, who had a parallel candidacy from the Alianza. As an absolute majority was not obtained in the first round, it was necessary to vote once again. 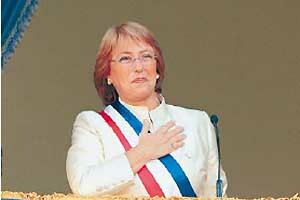 They took place in January of 2006, moment in which Michelle Bachelet faced Sebastian Piñera. The socialist candidate came out on top with 53.49% of the votes. This way, on March 11th, 2006, the first woman in our history assumed the presidency of the Republic. To this day her government has had to deal with its share of inconveniences, like the problems caused by the implementation of the capitol’s new public transportation system, Transantiago, and the secondary student protests, which in 2006 involved demands for deep seeded changes in the education system, like abolishing the Constitutional Organic Law of Teaching (LOCE). Despite the aforementioned problems, Bachelet’s government made an importantn breakthrough this year: the pension reform. It will allow workers to have better pensions and insurance in their old age, creating a system of solidarity pensions, ensuring gender equality and encouraging voluntary saving, among other measures.